With a relatively low budget and no huge stars—Woody Harrelson was the biggest name, though Jesse Eisenberg, Emma Stone, and Abigail Breslin have all gone on to lots of success—Zombieland was a nice sized hit back in 2009. And damn near ever since there’s been talk of a sequel. This has been going on sporadically over the last seven years, but apparently, at least according to one of the writers, Zombieland 2 is still in the works. It’s actually still in development over at Sony, they’ve had a couple writers take a crack at it, we’re still exec producers and we’re guiding and helping where we can and, yeah, I think there’s still very much talk about it, but I think it has to be right, I think all the actors and [original ‘Zombieland' director] Reuben [Fleischer] all feel like there’s no reason to do it again if we’re not getting it exactly right. At least it sounds like if Zombieland 2 does happen, and that’s a big if at this point, the people involved actually want to get it right and try to capture what makes the first movie so damn much fun. Over the years Rhett Reese and Paul Wernick, as well as stars like Woody Harrelson and others involved, have expressed interest in going on another adventure in this particular world, but who knows if that will ever happen. 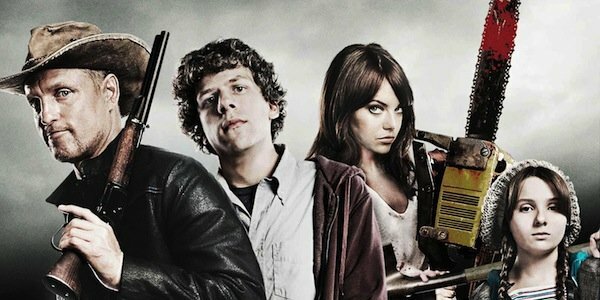 If Zombieland 2 does happen, it won’t be the first follow up to make it to the screen. In 2013, Amazon Studios ordered a pilot for a Zombieland series. Directed by Tucker and Dale Versus Evil helmer Eli Craig, the episode starred Kirk Ward, Tyler Ross, Maiara Walsh, and Izabela Vidovic as the four main characters, Tallahassee, Columbus, Wichita, and Little Rock (roles originally played by Woody Harrelson, Jesse Eisenberg, Emma Stone, and Abigail Breslin, respectively). But that one episode was a far as it got and Rhett Reese, who wrote the pilot with Paul Wernick, and helped create the series, announced that Amazon was not picking up the project. If they really, really want to, with their newfound Deadpool cache, now might be the time for Rhett Reese and Paul Wernick to finally make Zombieland 2 happen. But at the same time, they’re also super busy, with Deadpool 2 already in the works. They also penned the sci-fi adventure, Life, which is coming together nicely, and now includes Deadpool himself, Ryan Reynolds, and Mission: Impossible—Rogue Nation breakout Rebecca Ferguson. Maybe it’s just time to let one go. Do you want Zombieland 2 to happen, or would you rather see them leave well enough alone? Sound off in the comments below.